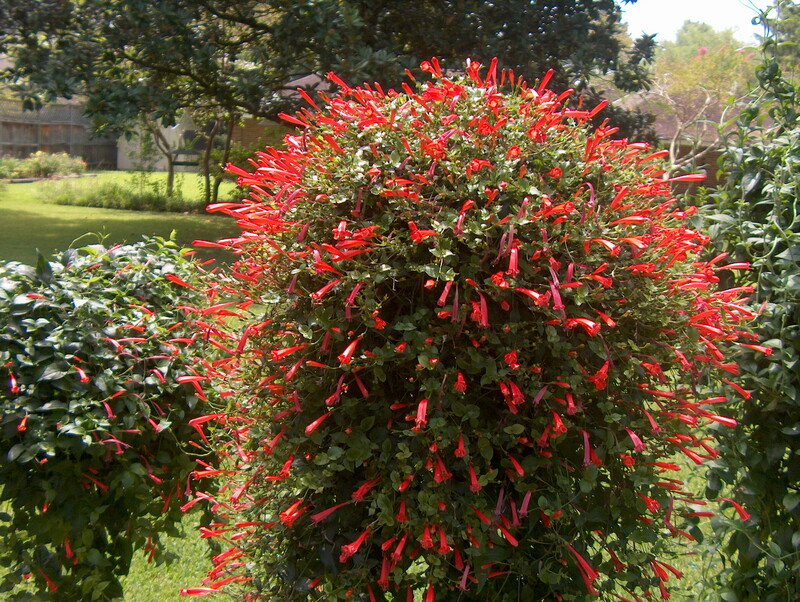 Comments: This delicate, twining vine with small leaves is called firecracker or hummingbird vine because of its bright red, slim flowers that are a magnet for hummingbirds. It flowers after the weather becomes warm and ceases as the nights become cool in fall. It must have a structure on which to climb. It can be grown in a container, cut back after killed back by cold, protected from hard freezes and placed outside again when the weather becomes warm.